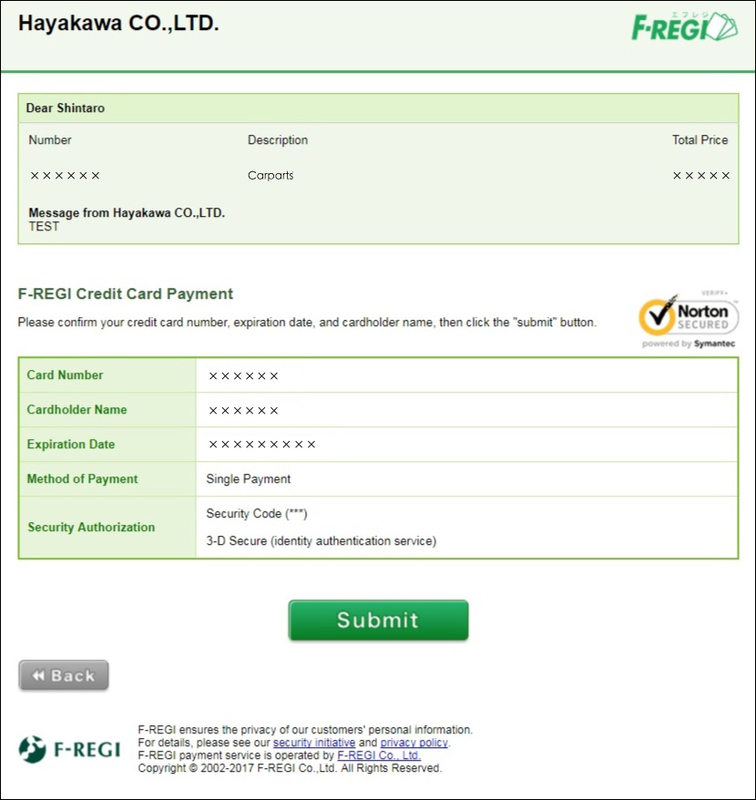 Attention:The credit card payment method will be charged in Japanese Currency (Yen). 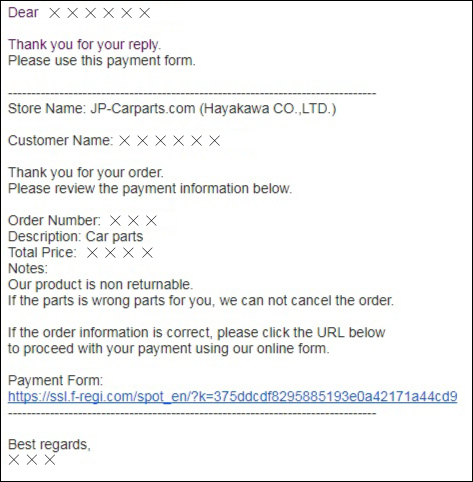 If you are satisfied with the price listed in your invoice, please inform us via e-mail. We will send you the credit card payment link later. When you receive the Credit Card Payment E-mail from us, please click the payment link ahown in the e-mail, after that, you will see the credit card payment page. When you see the page shown on the right side, please input the card number, card holder's name, expired date, method of payment, security code etc. After you finished, click 'Contiunue' to proceed. *Method of payment means the numbers of installment. You are free to choose 'process your transaction in one time = single payment' or 'split the payment inmultiply times'. Spliting the payment function may not be avaliable depending on the card companies. After confirming the inputted information is corrected, please click 'Submit'. 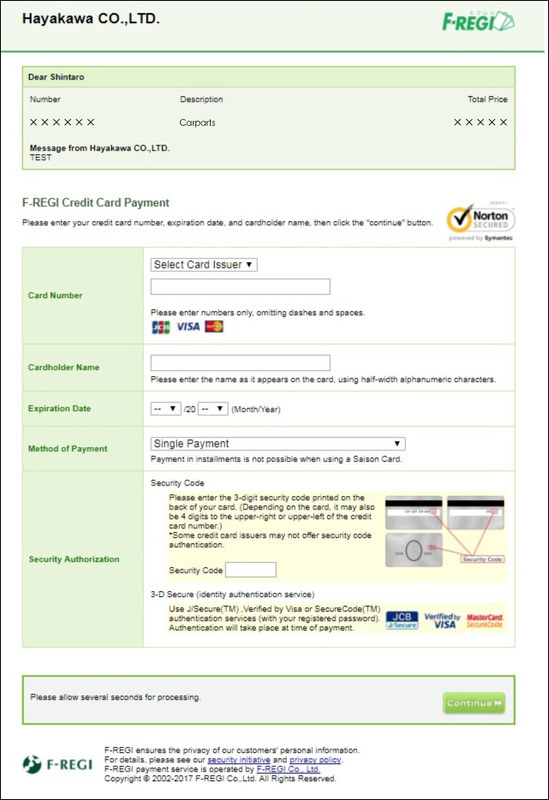 The 3-D Secure Password screen will appear after clicked 'Submit' button, please enter your security authorization password to complete the payment. After the payment is clear, we will send you the shipping schedule shortly via e-mail.